We have new developments regarding the local referendum in the Village of Mamaroneck that is to be voted on in the upcoming election. As was previously reported, two local laws “U” and “T” were passed on September 6th to add 2 referendum questions to the ballot. The first referendum gives voters the option to say yes or no to transferring the mayor’s power to appoint members of the Planning Board and Zoning Board of Appeals to the Board of Trustees. The second referendum gives voters the option to say yes or no to the transfer of the mayor’s power to the Board when appointing a village attorney. Mayor Norman Rosenblum is challenging the legality of the two referendum laws in the New York State Supreme Court, and he is suing the Village of Mamaroneck Board of Trustees. The mayor also stated that the legal representatives of the Board of Trustees requested that the court date be moved to the 27th. The Local Live is currently producing an in-depth report regarding the referendums that will air a week before the election. A 16-year-old girl from White Plains was recently rescued from human trafficking. She was found in Greenburgh, New York, by a team that consisted of both FBI agents and local police. She is undergoing medical treatment and counseling. She was found due to the FBI’s Innocence Lost Initiative. One of the programs in the initiative is Operation Cross Country, which is an international effort that targets human trafficking. The FBI has been going across the United States to investigate hotels, truck stops and street corners where traffickers are usually found. The Innocence Lost Initiative has resulted in the rescue of over 6,100 children. Any child could fall victim to human trafficking, so it is important to be aware. If you believe that you have witnessed a situation that involves human trafficking, do not hesitate to contact the police. October 20th was proclaimed to be the First Annual Community Media Day by the Village of Mamaroneck Board of Trustees. The annual celebration was founded in Brooklyn, New York to bring awareness to the importance of free speech and accessible media for all individuals. Community Days falls in line with Free Speech Week 2016 that ran from October 17th through the 23rd. LMCTV opened its doors to showcase what we do best-keeping you up to date on our community. In our Round Table discussion, Maura Carlin and Mike Witsch spoke with Jennifer Friedman, Managing Director of the Center for Legal Services, My Sister’s Place about the effects of domestic violence in the United States. The Local Live Varsity Sports segments highlights the Mamaroneck Field Hockey’s dramatic win over Scarsdale. Rebecca Paganini spoke with two New Rochelle bakers about their recent appearance on the Food Network’s show, “Cake Wars”. The annual Westchester Tattoo Convention was held recently and reporter Rebecca Paganini went to find out more about the event and about tattoos. Local Live Producer Andrey Gordon has a new show called “The Rascal”. It will debut on LMC next Thursday following The Local Live broadcast. If you like our show and want to keep it on the air, please go to our website, www.lmctv.org and click on the DONATE button. We appreciate any donation. 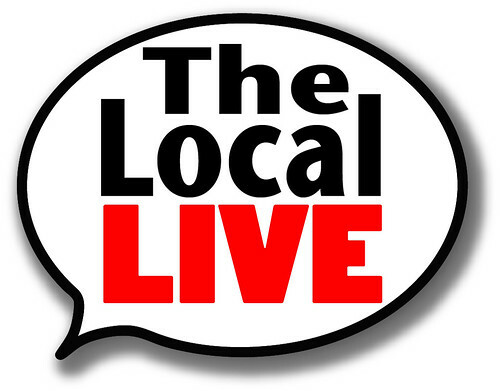 The Local Live is always looking for new volunteers and interns, so please send your emails to thelocallive@lmctv.org. Residents in the Rye Neck School District voted against a proposed $35.5 million school renovation project by just seventeen votes. According to the superintendent’s office, the final vote tally was 380 against and 363 for the capital bond projects. In an email that was sent to the Rye Neck community, the Rye Neck Board of Education and Administrative Team said that they were disappointed that the bond was defeated, saying “Our research concluded that basic infrastructure needs, growing enrollment of our district, and commitment to contemporary instructional environments demanded a comprehensive facilities approach. However, we respect our community’s reaction to the project and will consider other options to meet these challenges in the coming months”. All of the school buildings and athletic facilities in the district would have undergone improvements, which would include new roofs and state of the art classrooms, studios, labs and athletic facilities. More than 13.5% of the Rye Neck project was expected to be financed by the state. The Town of Mamaroneck approved a new plan that was set up by the Housing Choice Voucher program to help increase fair housing. Anna Denoy spoke at the Town Council meeting to explain the details. One development in the plan included a new way to bring in money for the program and ensure quality of life in the apartments. This development dictates that any landlord who does not make proper repairs to keep their apartments up to code will be fined. New Rochelle baker Jaclyn Dinko and her partner Natasha Jagopat will try for the $10,000 prize on the season finale of Cake Wars which airs on The Food Network. Dinko, who is a self-taught baker, owns Caked Out Creations told The Daily Voice that if everything goes according to plan, she hopes to spread the love with her own cake studio, ideally in New Rochelle. As a cancer survivor and nurse, she said “she wants to bake a difference”. The episode airs Monday at 9:00 p.m. on Monday, October 17th on The Food Network. Jaclyn and Natasha will be on The Local Live to share their experience about participating on Cake Wars. The American Foundation For Suicide Prevention is hosting a series of “Out of the Darkness Walks” around the country to create awareness and to raise funds for suicide prevention programs. On Sunday, October 16th, Harbor Island will be the location for the Westchester Walk. The walk will begin at 11:00 a.m. and will finish at 1:30 p.m. If you want to help support the cause and participate in the walk, go to www.ASFP.donor-drive.com for more information. Friday, October 14th is the last day to register to vote in New York. Registering is very easy and you can even register online. You can create an account at www.dmv.ny.gov and use your driver’s license, permit or your non-driving ID. Sign in, select “Register to Vote and fill out the form. In our Round Table discussion, Mike Witsch spoke with the Community Resource Center’s newest directors, Jirandy Martinez, Gail Vidales and Janet Rolon about their new positions and the latest events and programs that are available at the center. In our LMC Varsity Sports Play of the Week, the Mamaroneck Boys Soccer Team capped off Homecoming Weekend with a match against New Rochelle. With the score tied, defender Thomas Howse stopped two Huguenot scoring attempts. Our In The Spotlight segment features Estancia Buenos Aires Argentinian Steak House, which is located at 150 Larchmont Avenue in Larchmont. Our Pet of the Week is Sully, the friendly cat. He has extra soft fur and loves to be petted. He may be a cat but he has the playful personality of a dog and he loves to meet new people. He would be the perfect fit for any home. For more information on Sully and other adorable pets, go to www.ny-petrescue.org. If you like our show and want to keep us on the air, go to www.lmctv.org and click on the DONATE button. We appreciate any donations. With Election Day getting closer, LMCTV is your guide for aspiring public officials at both the local and state levels. Our series, “Meet the Candidates” will introduce local and state candidates to the public, with the intention to divulge their proposals and points of view on current problems that are happening in our community. On November 8th, three Democrats and three Republican candidates are fighting for three seats on the Village of Mamaroneck Board of Trustees. The Democratic candidates are Incumbent Trustee Leon Potok, Victor Tafur and Keith Wait, and the Republican candidates are Maria DeRose, Dennis Cucinella and Malte Stoeckhert. In addition to choosing local trustees, there are two referendums to vote for. The first regards removing the mayor’s ability to appoint members to the Zoning Board of Appeals and the Planning Board, and the second one regards removing the mayor’s power to appoint the Village Attorney. In each case, a “yes” vote will transfer the power of appointment from the mayor to the Board of Trustees. On the state level, Democratic Incumbent New York State Senator is running against Republican challenger, Julie Killian. After serving the Village of Mamaroneck for four years, Trustee Ilissa Miller will finish her final term this December. She recently appeared on The Tom Murphy Show, and discussed her point of view on the current administration and pressing issues in the Village. Topics included flooding, new development, the mayor’s powers, the upcoming referendum and her reasons for leaving the board. To watch the interview, log onto http://www.lmctv.org. 54-year-old Katyann Marshall of Mount Vernon was killed in a car accident Monday night in Mamaroneck after she and her car veered off the Mamaroneck Road overpass and hit a highway sign. When police arrived at the scene, she did not have a pulse and CPR performed on her was unsuccessful. She was transported to White Plains Hospital where she was pronounced dead around 9 p.m. Everyone here at the Local Live would like to extend our deepest condolences to Marshall’s family and friends. In our Round Table discussion, Mike Witsch spoke with Helen LaLouisis, who founded Billy the Bull, an anti-bullying campaign, whose mission is to empower individuals and eradicate bullying. In our Local Live Varsity Sports segment, Ian Sacks and Steve Anastas discuss the best plays of the week in our community. In the Spotlight features Cosmo’s Martial Arts Center, which is located in the heart of Mamaroneck. Local Live reporter, Michael Bianco spoke with owner and founder, Cosmo Yi about what he offers and what martials arts are all about. In our Lifestyle segment, Peter Malavenda spoke with diet technician, Beatrice Paganini about new healthy ideas for your kids’ lunch. Our Pet of the Week is Phoebe, a one-year-old Min Pin who weighs about seven pounds. She loves to go on long walks and needs a safe place where she can run free. She is super affectionate and loves to give cuddles. She would do best in a home with older children and with someone who will give her all the attention she loves. For more information on Phoebe and other pets, go to http://www.ny-petrescue.org. If you like our show and want to keep us on the air, please go to our website, www.lmctv.org and click on the DONATE button. We really appreciate any donations. The Local Live is always looking for new volunteers and interns, so please send your emails to thelocallvie@lmctv.org. We love hearing from you. Congratulations to the Town of Mamaroneck for becoming a certified “Climate Smart Community” for reducing greenhouse gas emissions and energy. The award was presented by Kelly Turturro, the Regional Director of the New York State Department of Environmental Conservation. There were only nine communities recognized by the New York State Department of Environmental Conservation. Mamaroneck is proud to be part of the small yet impressive group. In other Town of Mamaroneck news, a new budget plan was announced by the Board during a meeting held on September 21st. The Board explained that the Town staff is working to have a new budget by December. Meeting and hearings will be held within the coming weeks. Here are a couple of announcements: September 30th will be the last day to pay school taxes without a penalty. You can pay online at www.townofmamaroneck.org. The Sheldrake Fall Festival will be held on October 16th. There will be leaf mulching demos, quest leaf blowing demos as well as rain barrels. Lastly, the Hommocks Ice Rink will open on October 1st for regular skating sessions. On September 22nd, Village of Mamaroneck Mayor, Norman Rosenblum and residents held a public forum to openly discuss the drug abuse that is happening in our community. The Mayor told The Daily Voice, “the effect of this epidemic and threat, in particular to our young people, as well as the general public is unfortunately emphasized by the recent overdose deaths in the Village of Mamaroneck of three young residents; two of which happened in the past couple of weeks”. Recent fatal drug overdoses included a young man from Washingtonville and a 25-year-old woman from Shore Acres which prompted a call to action. The Mayor established the Mayor’s Drug Culture Committee to address the epidemic of drug abuse and will include students, parents, local and state officials. The Local Live will keep you informed of any new developments. Managing the Mamaroneck High School schedules has just gotten a little easier thanks to Mamaroneck High School senior, Harrison Crandall. He created a free app called “MHS Schedule that will clearly display a student’s schedule. Crandall has worked on the app since March, but it wasn’t until the first day of school on September 6th, when he launched Version 1.1 of the application. Crandall says he has been getting positive feedback from his classmates. He said, “I am still getting people stopping me in the halls, thanking me for MHS Schedule!”. For those students who still don’t have the app, they can go to the App Store on their iPhones and download. Currently, the application is not available for android phones. In other school news, Mamaroneck High School Counselor Keith Yizar retired after 33 years of serving the Mamaroneck School District. On Wednesday night, at the Saint Thomas Episcopal Church, members of our community, friends and family members joined him at a special dinner to celebrate his years of service. It should be noted that this was a community organized event and the school district was not involved. One of the organizers, Jeff Meighan told The Local Live that Yizer would not accept the dinner tribute unless the funds were raised to help students from Mamaroneck High School. Yizer chose The Jaydean Alexander MHS Scholarship Fund to receive the proceeds. In our Round Table discussion, Rebecca Paganini spoke with Kaitlyn Murphy, a local comedienne. In our LMC Varsity Play of the Week, the Rye Neck Boys Soccer Team was in a scoreless tie with Bronxville, when in the second half, Reed Peterson took a pass from Donovan Dunning to put the Panthers ahead. This past Saturday, Larchmont celebrated its 125th Anniversary. Alexandra Garcia covered the event for The Local Live and filed this report. Another event held this past Saturday, was the 3rd Annual Half-Time Beer Festival. Meral Kathwari was on-hand to file a report for The Local Live. Our Pet of the Week is Pez, a one-and-half-year-old Tabby Cat. He was the youngest of his siblings, so he’s used to having other cats around. He’s very playful and loving. If you would more information on Pez and other pets, please go to http://www.ny-petrescue.org. If you like our show and want to keep us on the air, please go to our website, www.lmctv.org and click on the DONATE button. We appreciate any donations.